A new trailer has been released this week for the upcoming Call of Duty Advanced Warfare game that is currently in development by Sledgehammer Games and will be launched on PlayStation 4, Xbox One, PlayStation3, Xbox 360 and PC later this year. Check out the trailer after the jump to learn more about the games storyline and how the developers integrated the top star actors within the narrative and gameplay. The latest title in the COD series Advanced Warfare will be launching on November 4th 2014 and has been created to offer gamers battlegrounds of the future. Where both technology and tactics have evolved offering a new era of combat, say its developers. The 2 minute behind the scenes look at the making of the new Call of Duty Advanced Warfare game is narrated by Sledgehammer Games Creative Director Brett Robbins, who explain that they used military advisors, Delta Force operators, Navy Seals and futurists to make sure the game was a great a possible. 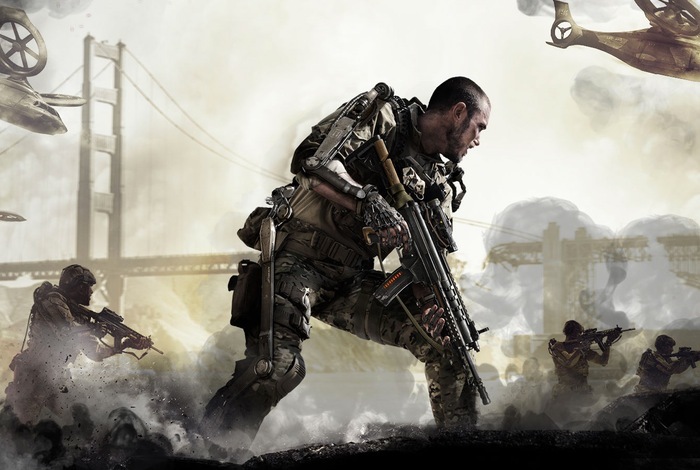 Sledgehammer Games have already released details about the new weaponry you will have the pleasure of using within the Call of Duty: Advanced Warfare game.